Today marks two weeks since Julian Assange has been unable to communicate with his mother, children, and the entire outside world. Ecuadorian President Lenin Moreno’s standing decision to cut his internet, jam his phones, and curtail visitors is foolish at best. And while we await anxiously for him to do the right thing as each harrowing day passes by, one has to wonder if this is really about one tweet that Assange put out about exiled Catalonia president Carles Puigdemont. On March 30, 2018, WikiLeaks tweeted, “Assange’s last Tweet responds to UK transatlanticist Alan Duncan calling him, in Parliament, a ‘miserable little worm’ who should be arrested.” First, Alan Duncan is the Minister of State at the UK Foreign Office, the same office that refuses to disclose if they have a U.S. extradition order for Assange. His statements are not only absurd and childish, they’re a glaring example of how Assange’s situation has been politicized at the detriment of Ecuador’s sovereignty and, more importantly, Assange’s well being. Duncan is also a close associate with former UK Foreign Secretary William Hague who stated back in August, 2012, that “Assange’s diplomatic immunity won’t be recognized in the UK” and “We will not allow Mr. Assange safe passage out of the UK.” In fact, Duncan once shared a London flat with Hague. But it’s not just Duncan’s ties that should make one sit up and take notice; it’s the fact that his statements were oddly in response to Assange’s tweets about the Skripal poisoning, all of which reserved any judgements against the UK regarding the attack. So what was this really about? More interesting tidbits about Duncan and Hague include the facts that Duncan once worked for Bill Clinton’s now-deceased (and pardoned) friend, Marc Rich and in 2015, Hague became a senior advisor to Doug Band’s lobbying firm, Teneo, where Bill Clinton once sat on the board. The point in all of this is that some have suggested that Assange’s testimony about Cambridge Analytica (which may or may not happen now) might have something to do with his internet, phone, and visitors being cut off, jammed, and revoked. Maybe Duncan wasn’t involved with Cambridge Analytica per se, but both he and Hague were working for the Foreign Office when they were doing business with SCL Group and both are tied to the Clintons. So yes, maybe this is about one tweet. But maybe it’s also about keeping the UK government’s dirty little secrets secret. This story starts out in 1990 when British businessman Nigel Oakes created the Behavioural Dynamics Institute (BDI) although the details are so murky it’s a shot in the dark whether the story really starts here or not. Company documents seem impossible to come by and early documents from other companies that Oakes started under which the institute may have been formed like Behavioural Dynamics Limited, Behavioural Dynamics Holdings Ltd. or Behavioural Dynamics Consulting Limited, are also hard to find. 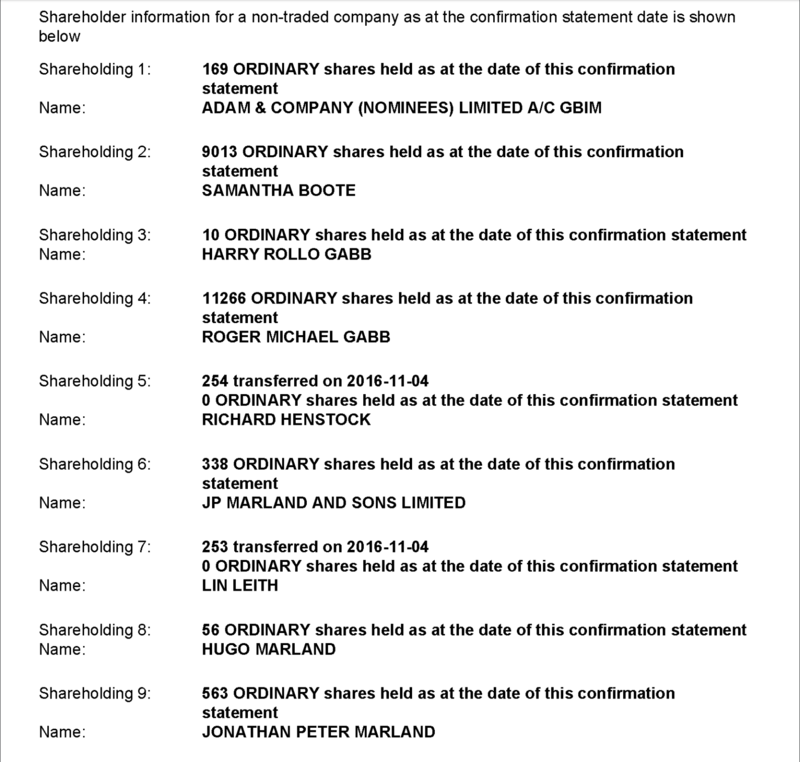 According to OpenCorporates, they were all registered during the 1990s and yet the records appear to be wiped from the UK’s Companies House website. Although there’s little information about the institute’s early projects, in 2009, the BDI contributed to a report from the “Strategic Communication for Combating Terrorism” workshop conducted by The NATO Centre of Excellence —Defence Against Terrorism (COE-DAT). According to the report, the COE-DAT was established in 2005 with the purpose of “supporting NATO on defence issues relating to terrorism.” Dr. Lee Rowland, a member of BDI’s management team, also wrote a report for the UK Defence Academy detailing how the military and NGOs should conduct large-scale information/propaganda operations. In fact, the website openly admits that SCL is involved with military psyops and that “managing public opinion is perhaps the most important weapon in a government’s arsenal.” Basically, SCL was created as an arm of BDI to work specifically with governments and the military on secretly changing public opinion. Nigel Oakes once famously said that the techniques they use are the same as Aristotle and Hitler. And ya’ll are worried about the Russians. SCL made its public debut at the 2005 Defense Systems & Equipment International (DSEI), a “world leading defence and security event.” The company set up an elaborate Ops center that allegedly took up the entire second floor of the exposition and included a simulated crisis scenario described by Slate.com as a “rejected plot twist from a mediocre Bond flick.” Had the author of the article done a little digging they would have realized that BDI’s website (the first one I mentioned) was registered to Pinewood Film Studios; the same studio behind the James Bond movie franchise and the film Mission Impossible. Vision 360, Ltd., a special effects company that worked on the Bond film Goldeneye and put together SCL’s Ops centre at the DSEI exposition, was also listed on the website’s registration. Search SCL and Indonesia. I guarantee Vision 360, Ltd. was behind SCL’s Op center there, too. And that was back in 2000. And yes, for all of you who inexplicably follow and support an anon poster who is probably a Deep State disinfo agent (or maybe an SCL employee) more so than say, Julian Assange and WikiLeaks, you can dig into the fact that Pinewood Films Studios also has a stage called “Q Stage.” Must be where all the 8chan magic happens. In 2010, SCL boasted in company documents that they were the “leading player in the creation, implementation and evaluation of complete strategic communication campaigns for government and military organisations worldwide.” Last year the Guardian (alert: full disclosure) reported that they had won contracts with the UK’s Foreign Office, the Pentagon, NATO, Indonesian President Abdurrahman Wahid, Caribbean politicians, and even the US State Department. Again, you’re worried about the Russians? For a complete list of 2017 SCL Group shareholders go here and here. While BDI and SCL were busy plotting how to influence the masses for the military-industrial complex, two psychiatrists from Cambridge University’s Psychometric Centre, Michal Kosinski and David Stillwell, were engaged in studying personality traits from raw data they had gathered using a Facebook quiz they developed in 2007. In 2013, they published their findings and it didn’t take long for the government to notice if they hadn’t already. A 2014 paper published by Kosinski about how “pervasive records of digital footprints can be used to infer personality” was supported by DARPA, Boeing, Microsoft, the National Science Foundation (NSF), and the Center for Study of Language and Information at Stanford University. Kosinski also worked at Stanford University’s infoLab whose projects have been been funded by DARPA, the NSF, Air Force Office of Scientific Research (AFOSR) at Wright-Patterson Air Force, Idaho National Engineering Labs nuclear facility, Lockheed-Martin, and the Department of Defense. When Kosinski and Stillwell published their findings, twenty-eight year old Canadian Christopher Wylie also took notice. Prior to that he had moved to London in 2010 to study at the London School of Economics. While there he became involved with the Liberal Democratic party. In October, 2012, Nigel Oakes, the man behind BDI and SCL, established SCL Elections, a company that Wylie eventually joined in 2013. 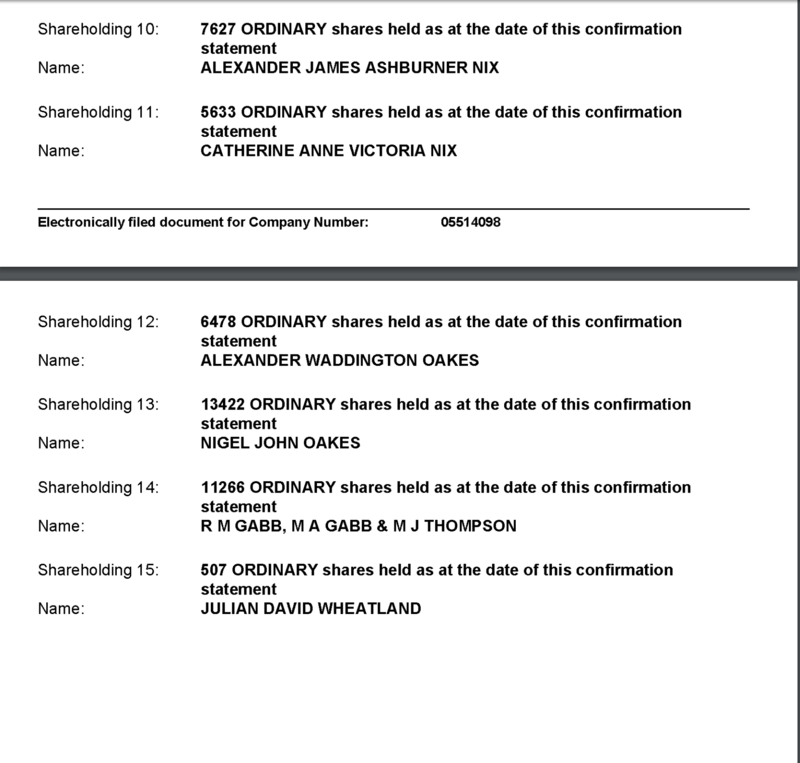 As a side note, SCL Elections, like every other Oakes company, appears to have been doing business before it was officially registered. In a company document filed on September 16, 2010, it was noted that “Strong demand was maintained for SCL Election Services and growth was seen in this sector.” In fact, powerbase.info, a website you should really check out, reported that SCL Elections carried out campaigns in South Africa, South American, the Caribbean, the UK, Indonesia, and Thailand, Iraq, Kenya, St. Kitts and Nevis, and Nepal well before the company was registered. Or so it appears. According to SCL Elections’ website, Nigel Oakes, his brother Alexander, Julian Wheatland, and Alexander Nix, all of whom are also involved in SCL and are Eton graduates minus Wheatland on the latter, sit on the executive board. Members of the advisory board include St. Vincent and Grenadines former Prime Minister, James Mitchell; British aristocrat Lord Mountbatten, the third cousin of Queen Elizabeth II; and Gavin McNicholl, the founder and director of Eden Intelligence, a UK intelligence firm with ties to Boeing, UK’s Defence Academy, MIT, and the Foreign Office. This takes us back to Wylie and his interest in Kosinski and Stillwell’s research. As mentioned earlier, Wylie started working for SCL Elections in 2013, and it was during his time there that he reached out to Stillwell in an effort to use their software. However, they weren’t willing to help Wylie and so SCL found someone else who would. Towards the end of 2013, two things happened: Christopher Wylie met former Briebart Editor in Chief Steve Bannon and The Trinidad project. First, in the fall of 2013, Wylie met with Bannon and according to rollingstone.com, the two hit it off immediately. Bannon convinced billionaire Robert Mercer and his daughter, Rebekah, to meet with SCL Elections director, Alexander Nix. Nix and Wylie spoke to the Mercers about the “advancement of personality testing for political gain,” and just like that, by the end of the year Cambridge Analytica was born with the help of a multi-million dollar investment from Robert Mercer and with Nix, Bannon, and the Mercers at the helm. Between the time of Wylie’s initial meeting with Bannon and the formation of Cambridge Analytica, SCL also established a Canadian branch of the company called AggregateIQ (AIQ) with the help of Wylie. According to the globeandmail.com, within days the company acquired a $200,000 contract “to support SCL Group’s work in Trinidad and Tobago,” and in what would be later called the “Trinidad project,” SCL tried to “gather data—in bulk—from an internet-service provider in the island country of 1.3 million people.” This was the project model that Robert Mercer essentially bought into. At the beginning of 2014, Wylie reached out to Dr. Michal Kosinski about using his Facebook quiz and claimed that Kosinski wanted $500,000 plus fifty-percent of the royalties. However, according to Kosinski, he never met anyone from SCL Elections or Cambridge Analytica. David Stillwell, Kosinski’s partner, confirmed Kosinski’s statements but added that it was he who had met with Wylie one time in the beginning of 2014. After that he was only in contact with Dr. Aleksandr Kogen. Dr. Aleksandr Kogan, also known as Aleksandr Spectre, is a professor at the University of Cambridge who “expressed interest in accessing information” from Kosinski and Stillwell’s Facebook quiz, apparently on behalf of Cambridge Analytica, sometime in early 2014. At the same time, Kogan was also working for St. Petersburg University and had received funding from the Russian government to study “stress, health, and psychological wellbeing in social networks.” According to Kosinski, he grew uncomfortable with Kogan’s ties to SCL and both Kosinski and Stillwell turned him down. But that didn’t stop Cambridge Analytica. What Kosinski and Stillwell were not willing to give them via Aleksandr Kogan, Dr. Kogan was more than willing. In May, 2014, he co-founded Global Science Research with Cambridge researcher Joseph Chancellor who now works for Facebook’s User Experience Team, and by the end of the month Kogan had developed a Facebook app. After the pilot was a roaring success Cambridge Analytica signed a second contract with his company in June, 2014. At the end of the day and after Kogan received the green light from Facebook, his newly developed app, “thisisyourdigitallife,” was used to harvest the data from over eighty million Facebook users. Here’s how it worked: Any Facebook users who took Kogan’s personality test consented to their data being collected for “academic use.” Even though only approximately 270,000 users used the app, it appears that Facebook’s service terms allowed Kogan to collect data from their friends’ profiles, as well, bringing the total number of users whose data was mined to over eighty million. According to rollingstone.com, out of at least fifty million profiles accessed, thirty million of those provided enough information to build psychographic profiles. Technically it doesn’t appear that Dr. Kogan broke any rules with the data he acquired. However, he absolutely breached Facebook’s company rules when he sold the data to Cambridge Analytica. As for SCL and Cambridge Analytica, it is illegal to “employ foreigners in political campaigns,” but it appears that’s exactly what they ended up doing. When it was all said and done, data mined from millions of Facebook profiles, including at least thirty million psychographic profiles, essentially became available for purchase on the market. The scarier part? There’s no telling how many other companies developed similar apps that mined as much data as Kosinski or Kogan’s which could then be sold to foreign or domestic governments and private companies. The moral of this unfinished story could certainly be that you should never trust your government or much of what you read, hear, or see on the internet. If the background history behind Cambridge Analytics has taught us anything, it’s that the military-industrial complex has long been in the business of pulling the wool over our eyes. Just look at the wars they’re trying to convince us we want with Russia and in Syria. It’s absurd. It’s also absurd to think that most us haven’t been influenced at one time or another via our digital lives by the US and/or UK government because those odds are getting better by the hour. As for Julian Assange, think about the smear campaigns that have been used against him for eight years. Hmm. And now that you know the Cambridge Analytica scandal goes well beyond some wacko psychiatrist who took things a little too far, it might not seem so far-fetched that Assange’s testimony is somehow tied to his internet being cut. This is a story that is literally entrenched in both the military-industrial complex and the US and UK governments. One has to wonder when Cambridge Analytica approached WikiLeaks in 2016, after which WikiLeaks turned them down, if the approach was made to help Donald Trump’s campaign or if it was another attempt at setting Assange up. Or both. But yes, this might just be about a single tweet.